Hey guys! So ........... 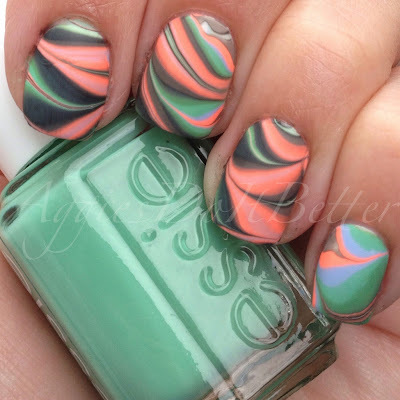 I totally had a different post scheduled for today....and yesterday.... but this weekend I was scrollin along through Instagram and I saw my friend Kristin (@ermagerdpolish) show where she got her color palate inspiration for her latest watermarble (which was amazzzzzing) and it let me to discovering Design-Seeds.com! Apparently it's been around for a while but I've never seen it! 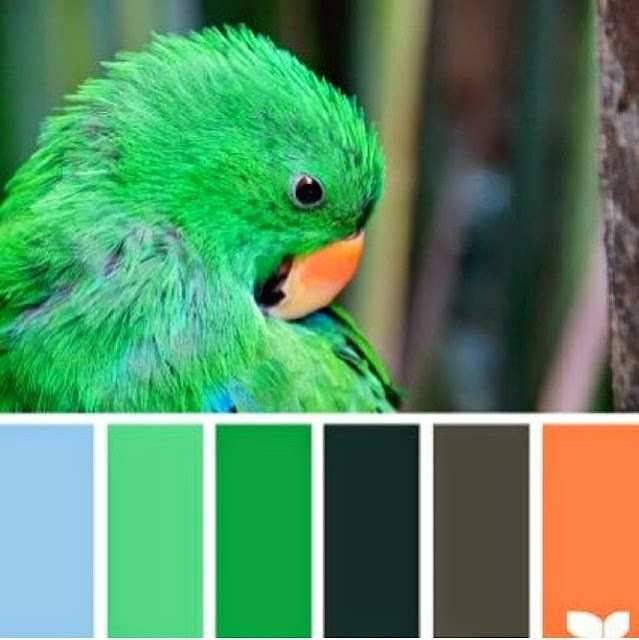 It's basically a website that draws from various colorful things and matches up 6 or so colors with it and gives you a palate to work with in designing a room or whatever.....or NAILS! 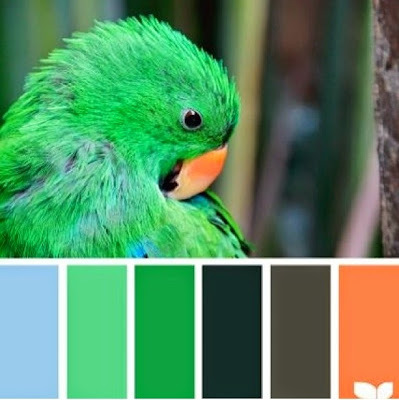 I made the mistake of clicking the #designseeds tag....and all of the sudden I have 70 billion screen shots of color palates saved on my phone. And the majority of them are tropical/beachy/teal/turquoise heavy....I should really branch out. Or not. ANYHOO. This is my first mani done with this method! 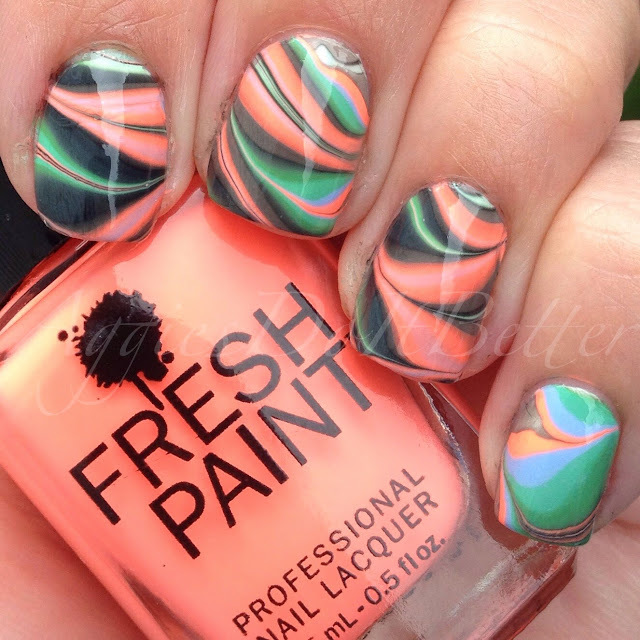 Trust me you will be seeing a lot of this (and not just with watermarble) because I luuuuurrrvvveee it. I've never really used more than 3 or 4 colors at a time before. 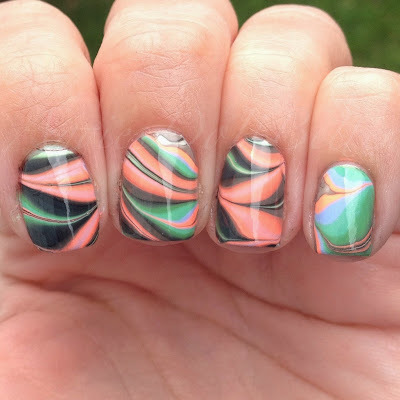 My watermarbling skills are finally starting to show some improvement...although I still had to re do my pinky because I knocked it against the stupid side of the cup. Lesson learned....do not try to dip pinky with ring finger or any other fingers at the same time because it is short and dumb. This is also my first time using Fresh Paints. This one was super thick and didn't want to spread very well...as opposed to the Essies I used spread a little too thin and the green factor kind of got swallowed up. 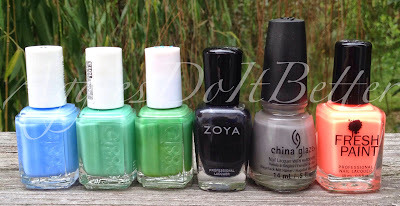 More on the Polishes I used at the end! I wish the sun was out...but for once I'm not even mad. One must always throw some matte topcoat on top of bright colors, no?